With Justin Bonomo surging to the top of the Hendon all-time money list with a string of High Roller titles, the online poker community has been having an interesting debate. Are high roller results good indicators of the overall skill level a player has? Some people believe that small-field, high buy-in events have a disproportionately large effect on all-time money lists. Also, if one plays this type of events, every time they fail to cash, it amounts to a much greater loss - so while the total winnings for these players may be very high, their ROI can be much worse than for players at lower stakes tournaments. Now Olivier Busquet too jumped into the conversation, asking his fans to name the poker player they respect most who does not play high rollers. Who is the poker player you respect the most or find the most interesting who does NOT play super high rollers? Among the responses were Swedish pro Kristoffer Thorsson, Alan “Ari” Engel and Chris Moorman. @Moorman1 been crushing game for 13 years. Lost millions staking, people stolen off him and grimmed him. Would've finished most off. Moor just grinds back from 0 multiple 7 fig live scores never uttered a bad word about those thatve wronged him. Total class. Sumpas (Kristoffer Thorsson). Likely the greatest results of any tourney player ever and then just disappeared. Anyone know what happened to him? These are all players who have been racking up good results year after year either in lower buy-in tournaments, live or online, but they are never present at the famous 6-figure buy-in high rollers. 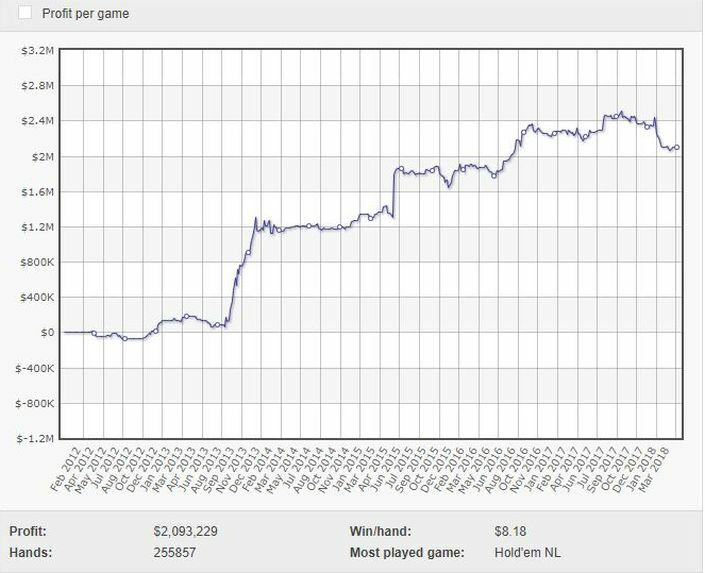 Moorman, for example, has recently passed the unprecedented $15,000,000 mark in online tournament earnings yet his biggest individual cash is still “only” $235K - around 1.5% of his total winnings. Compare that to Justin Bonomo’s live record, who’s biggest cash ever is his recent One Drop win for $10 million, while his lifetime earning is $42.9 million - that same ratio is almost 4:1, 23.3% for Bonomo. Much like how Moorman crashes online tournaments, OtB_RedBaron has been a killer at the online cash tables for years. Yet the Belgian Jonas Mols’ live tournament tally only stands at $50K - not even enough for a single buy-in for an Aria Super High Roller.